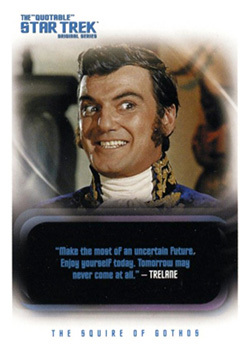 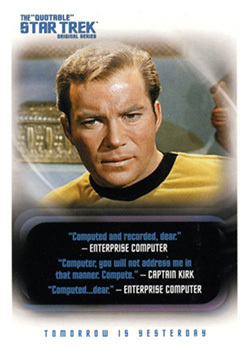 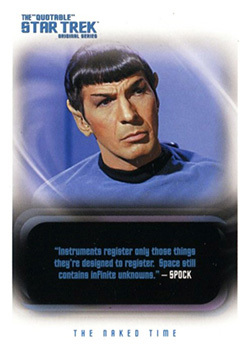 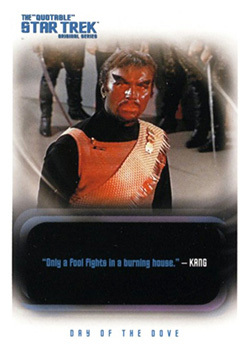 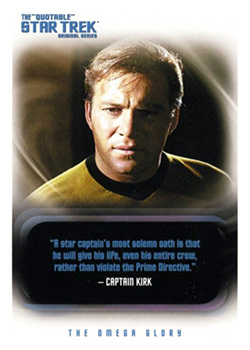 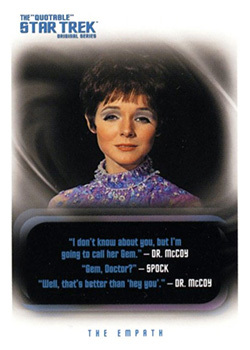 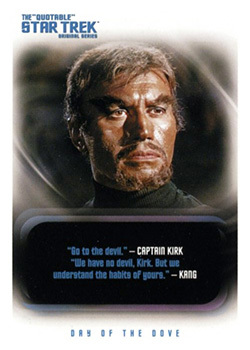 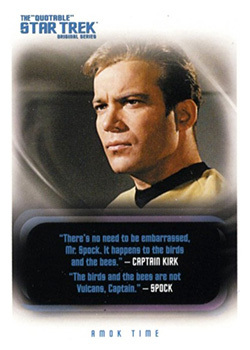 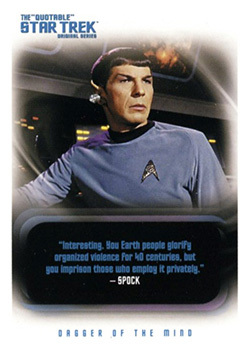 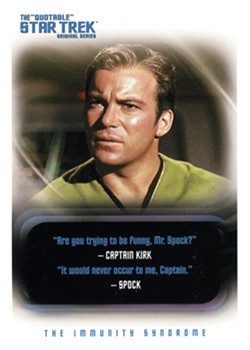 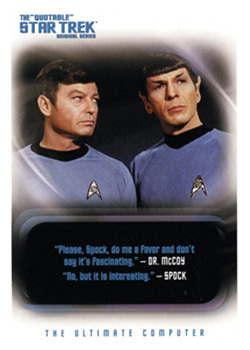 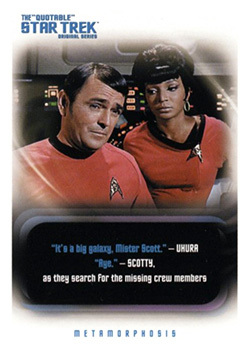 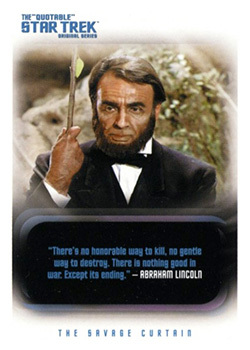 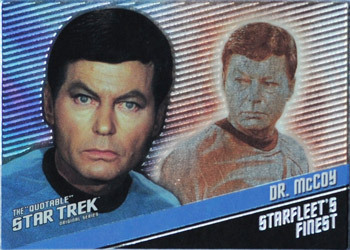 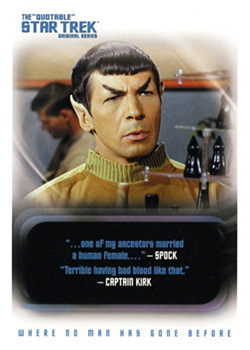 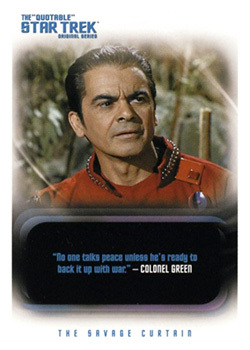 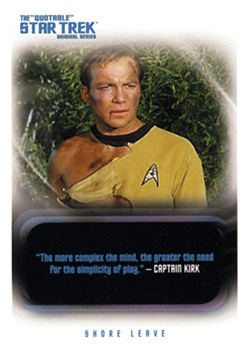 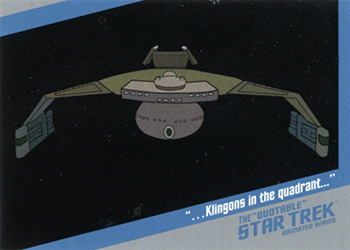 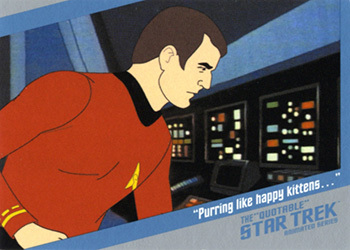 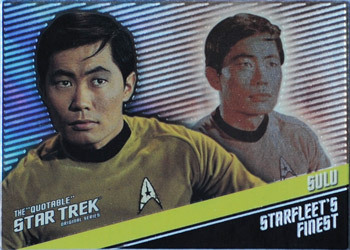 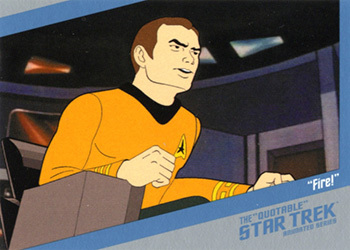 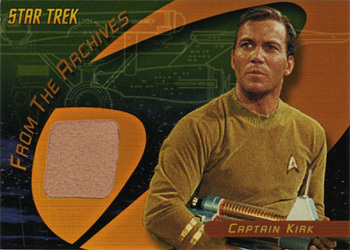 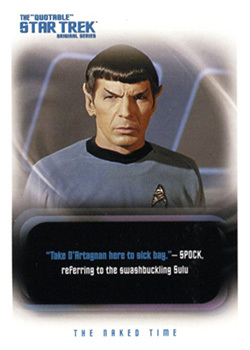 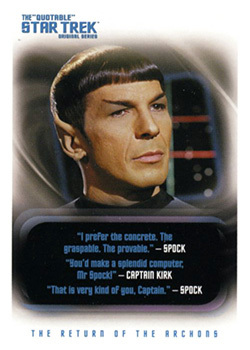 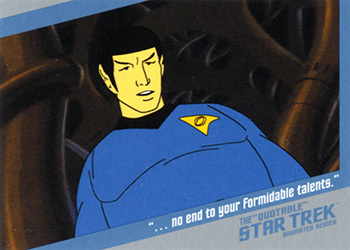 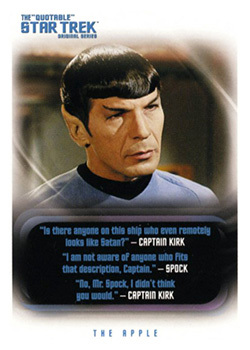 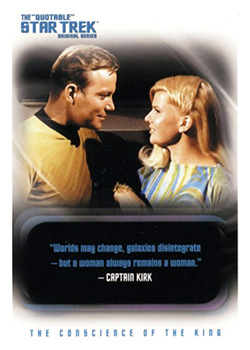 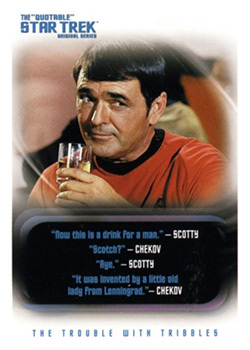 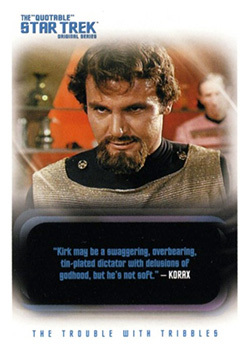 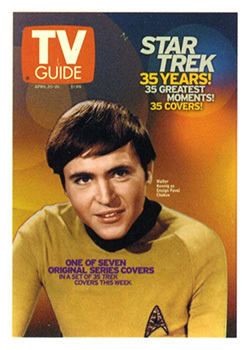 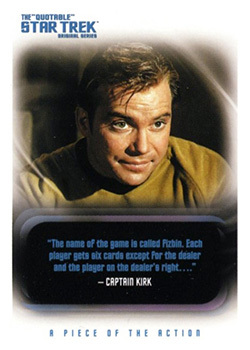 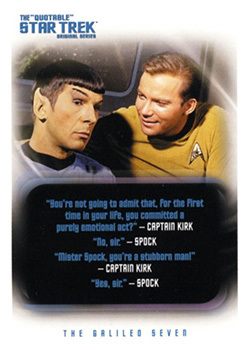 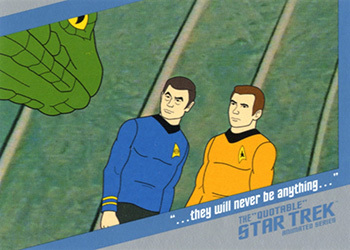 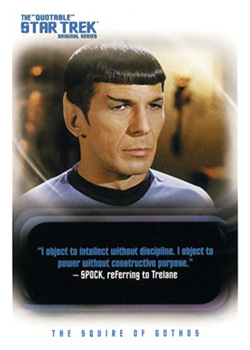 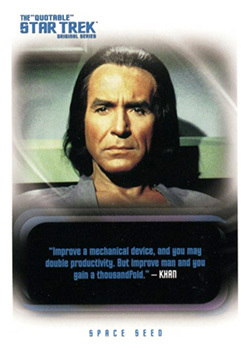 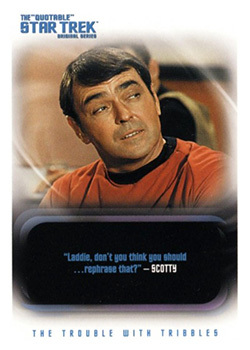 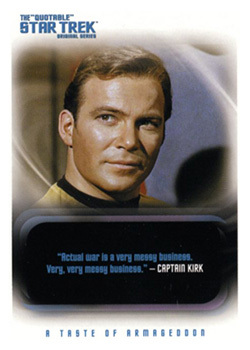 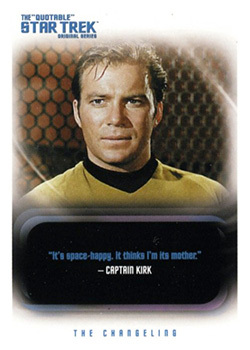 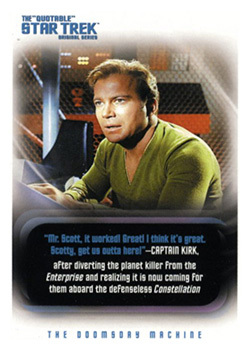 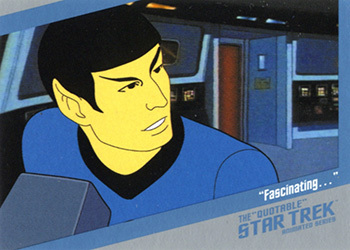 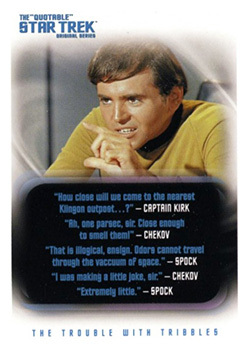 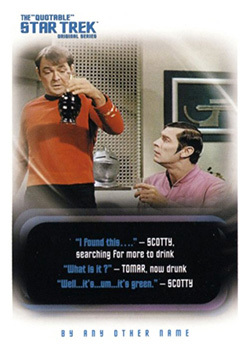 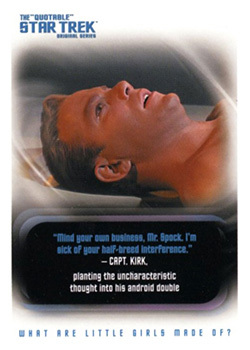 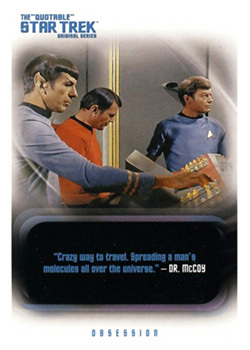 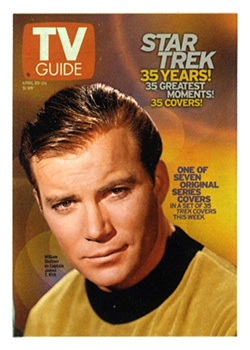 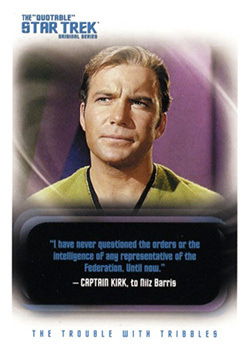 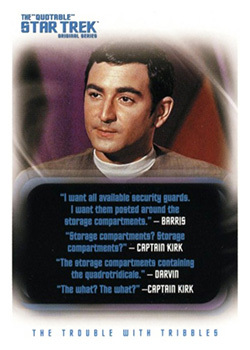 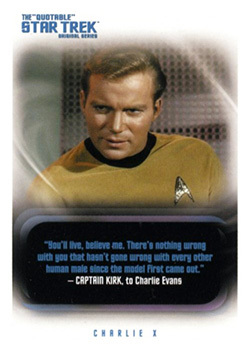 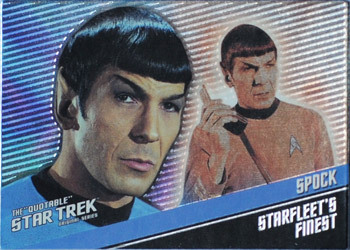 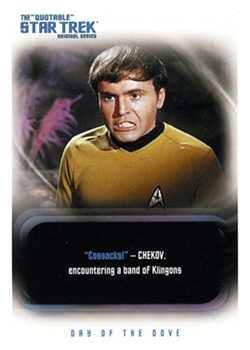 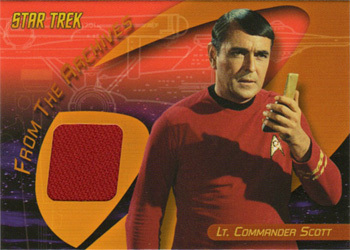 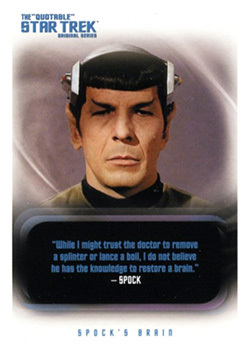 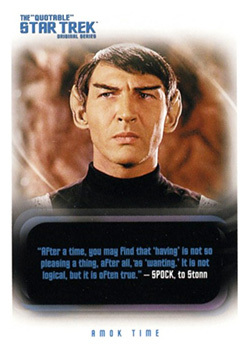 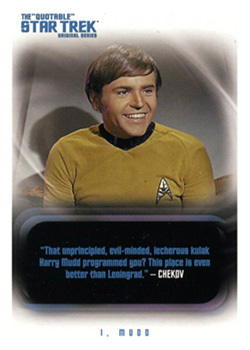 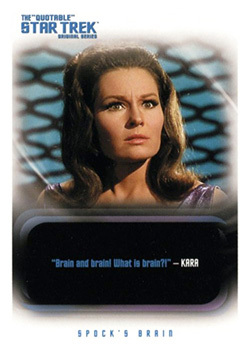 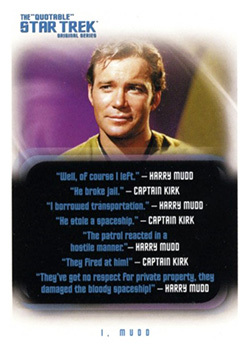 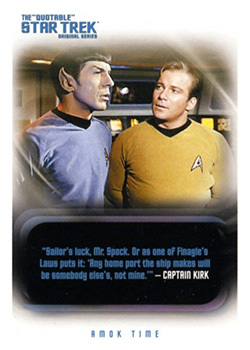 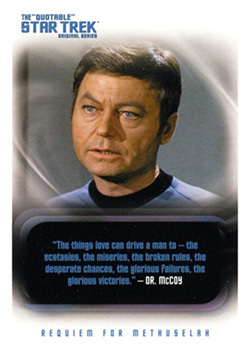 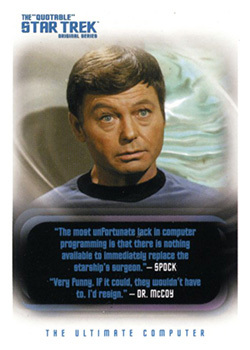 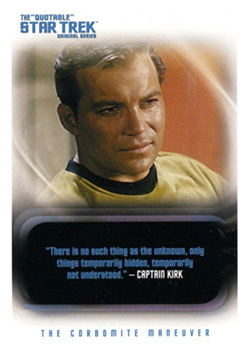 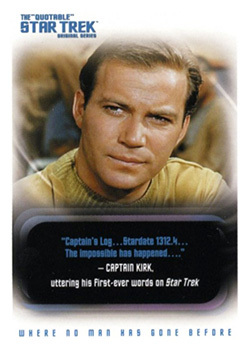 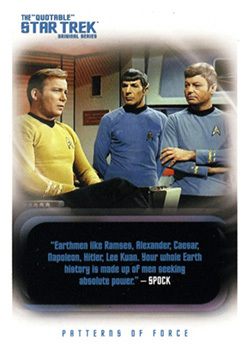 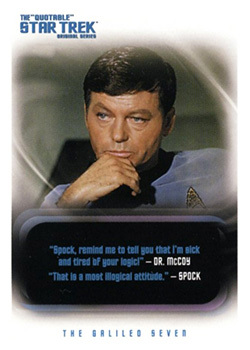 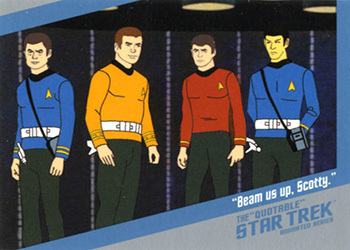 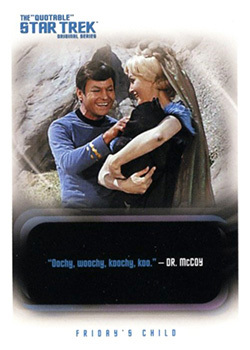 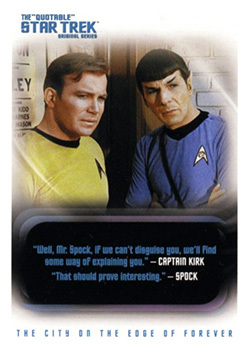 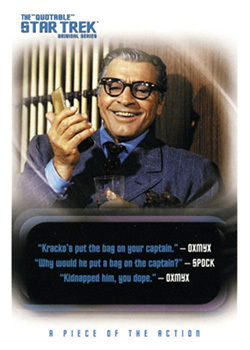 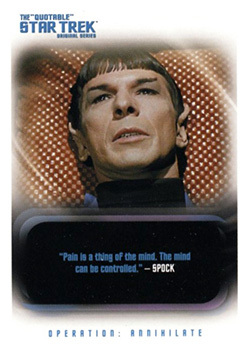 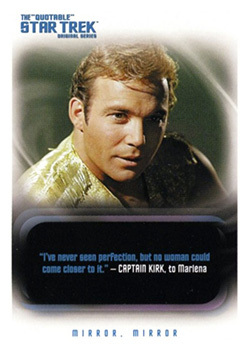 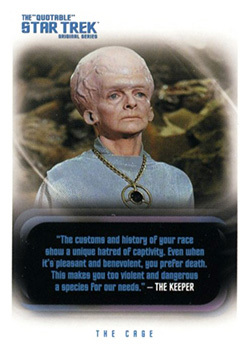 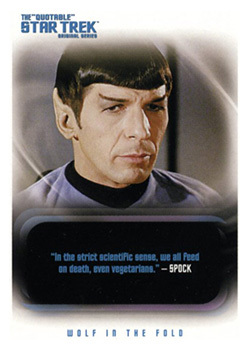 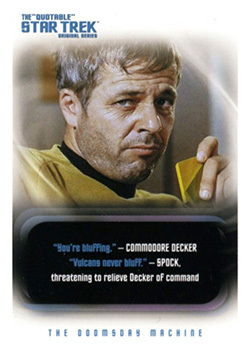 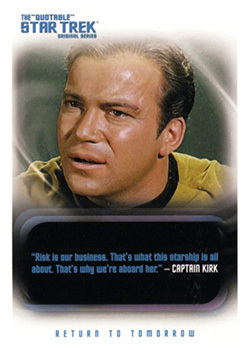 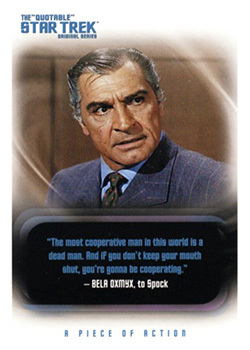 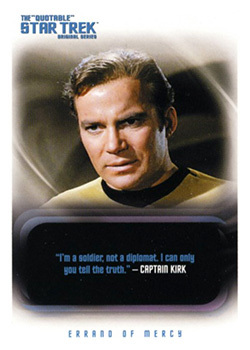 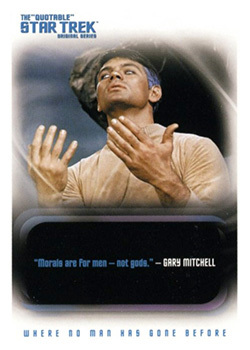 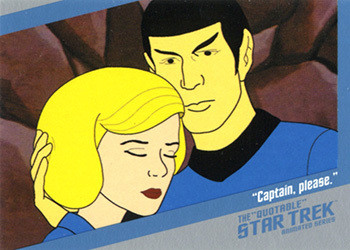 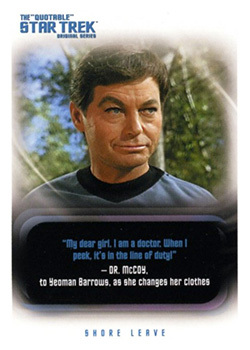 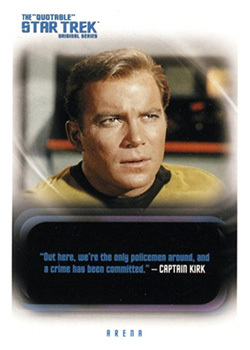 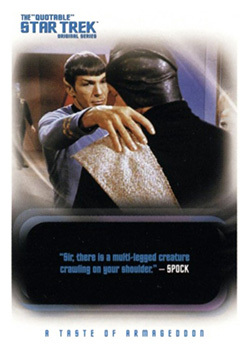 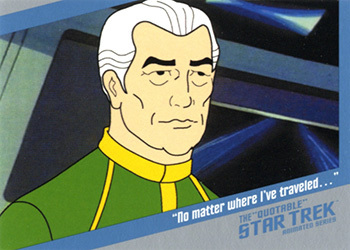 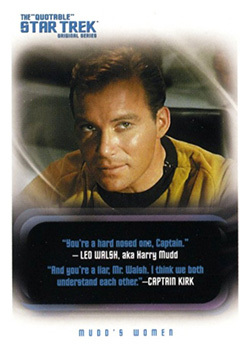 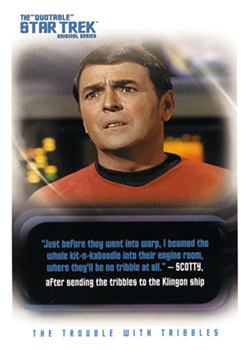 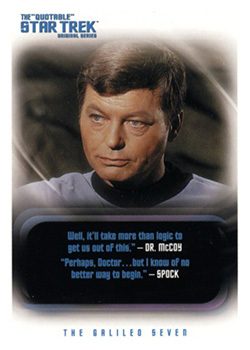 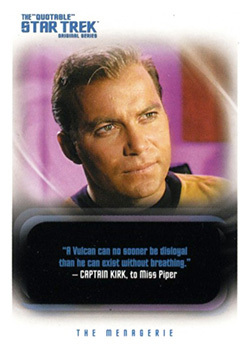 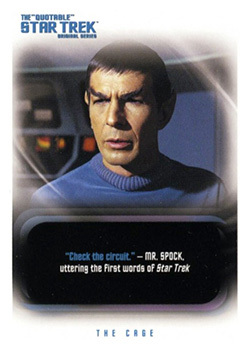 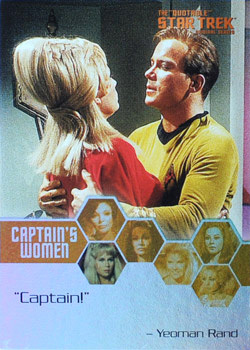 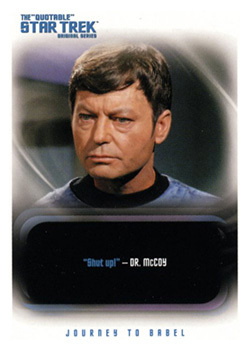 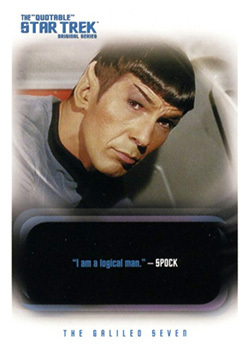 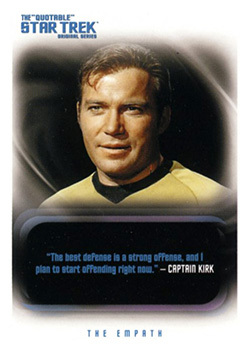 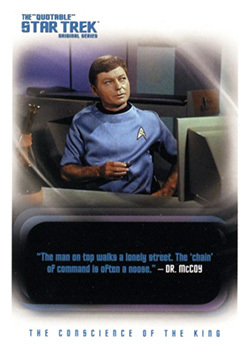 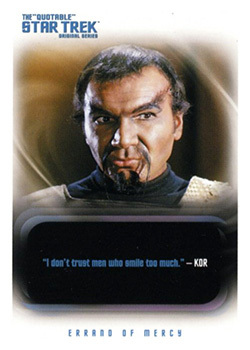 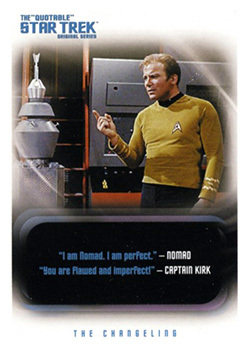 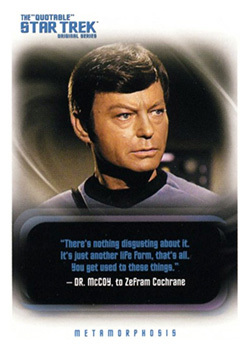 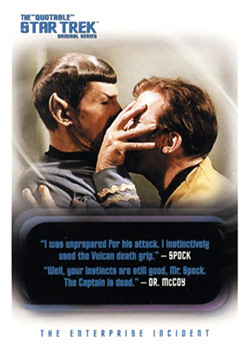 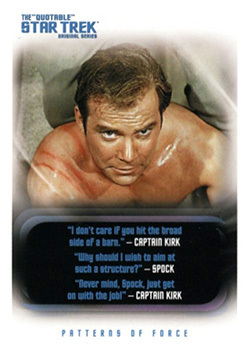 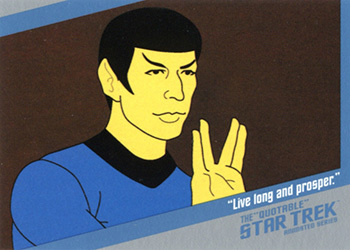 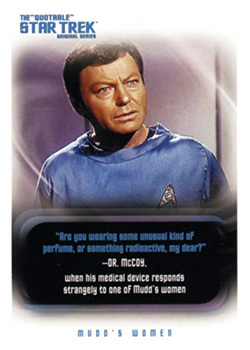 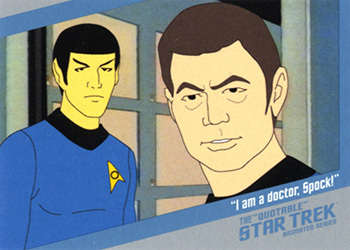 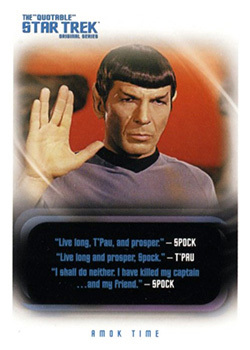 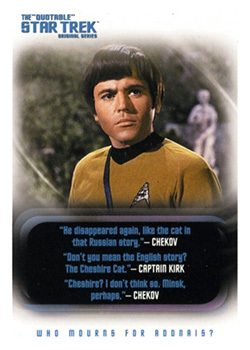 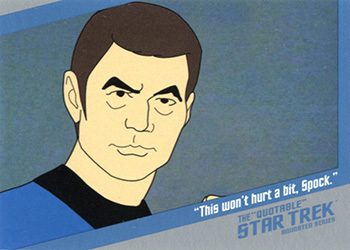 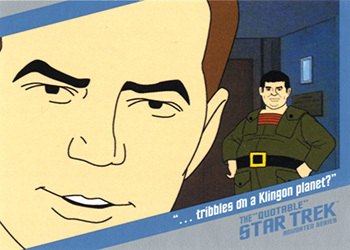 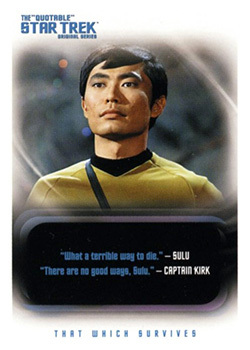 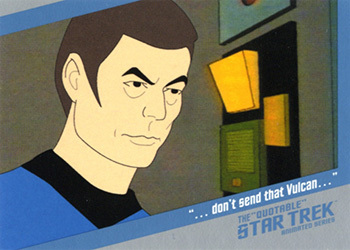 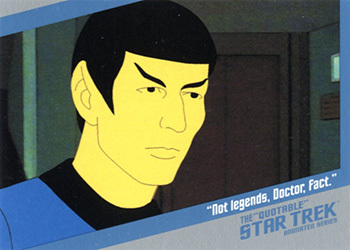 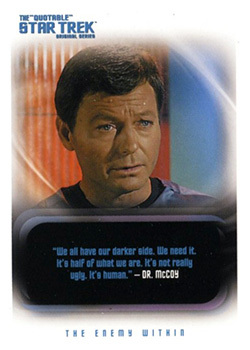 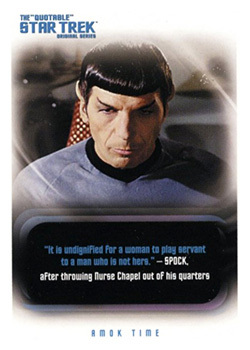 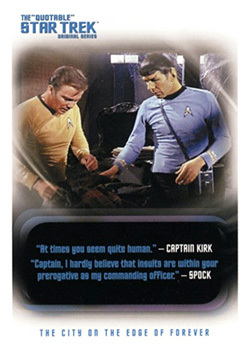 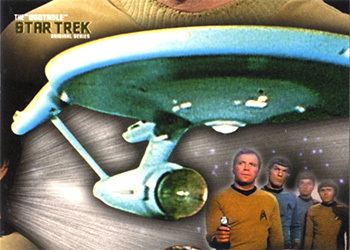 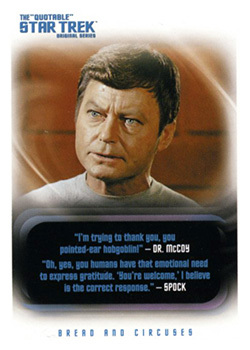 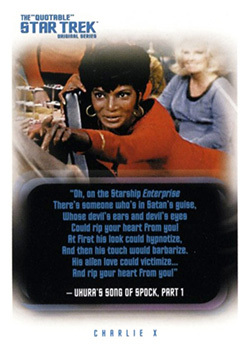 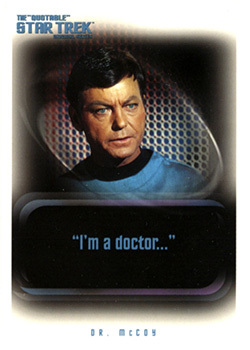 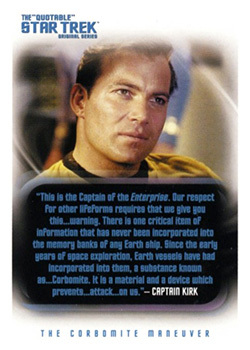 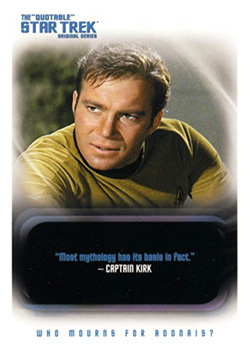 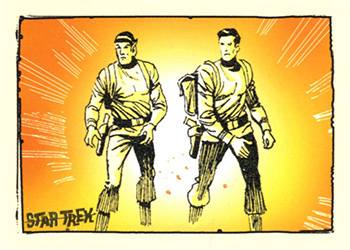 Rittenhouse Archives gathered more than 200 of the most memorable quotes uttered by Kirk, Spock, McCoy and more this trading card set The Quotable Star Trek: Original Series. 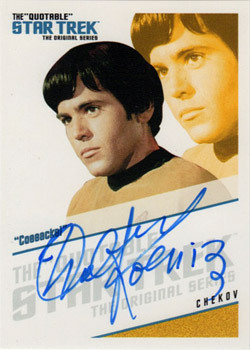 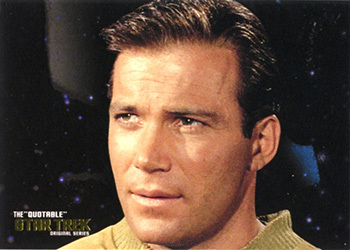 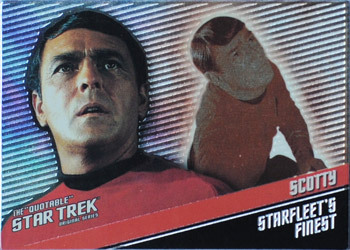 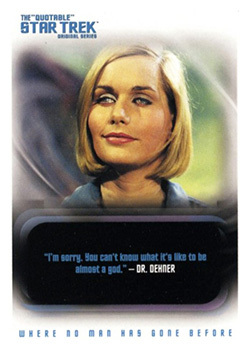 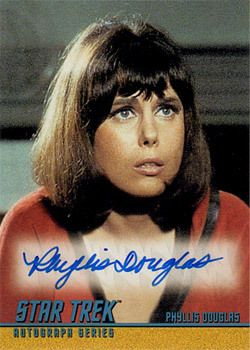 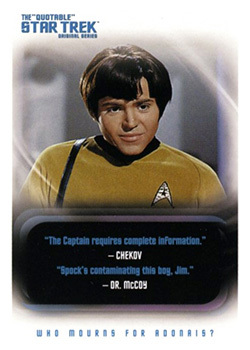 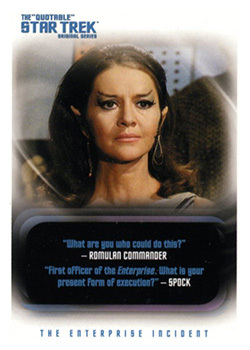 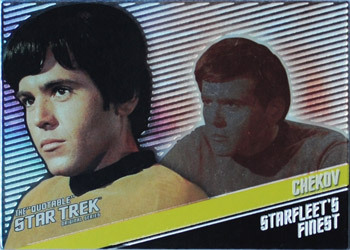 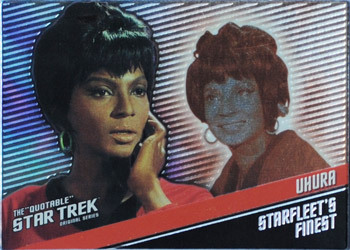 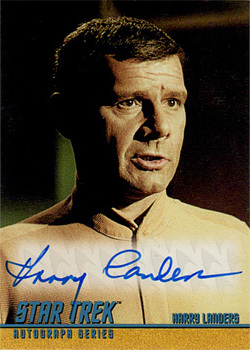 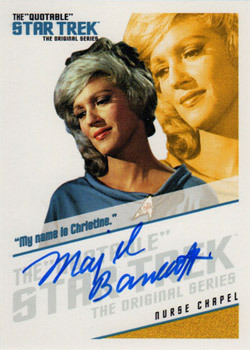 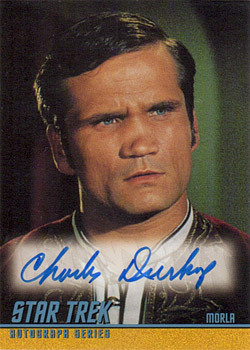 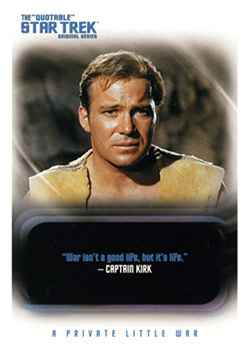 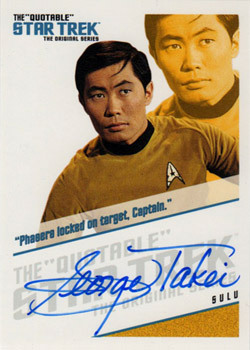 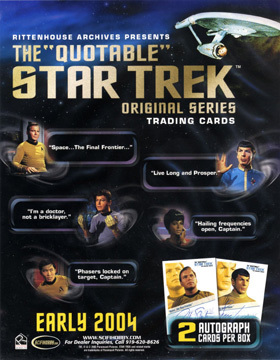 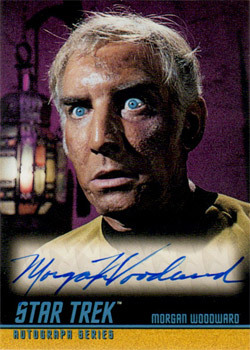 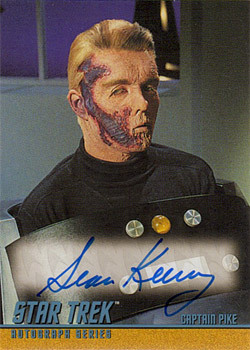 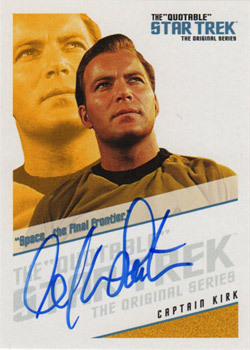 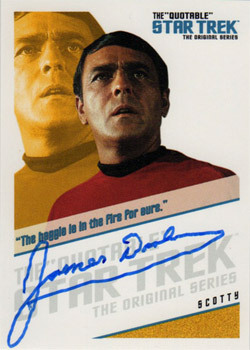 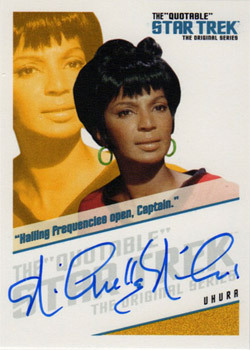 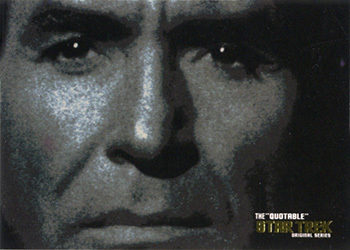 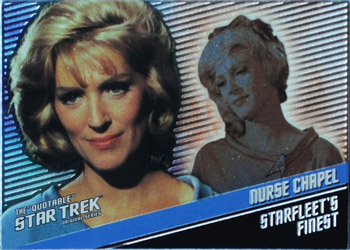 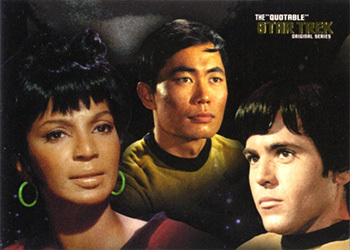 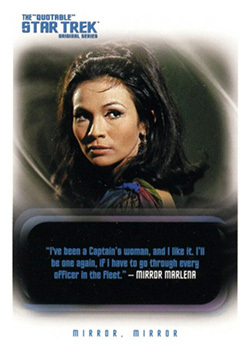 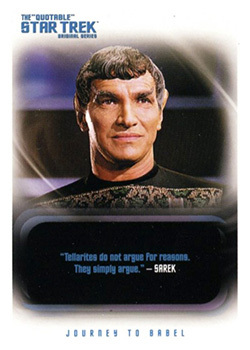 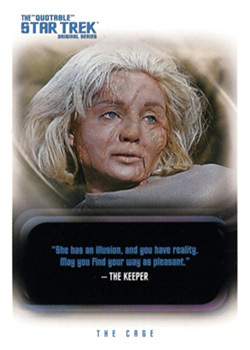 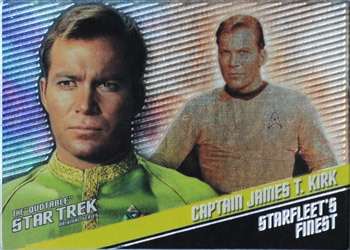 Each box of The Quotable Star Trek: Original Series comes with 2 autograph cards. 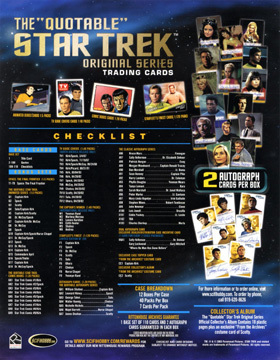 Signers include all living (at that time) bridge crew members: Shatner, Nimoy, Doohan, Takei, Nichols, Koenig and Barrett on an all-new autograph card design. 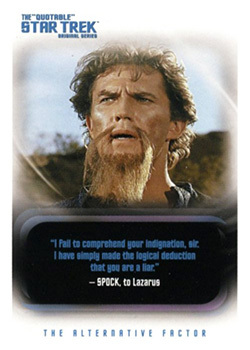 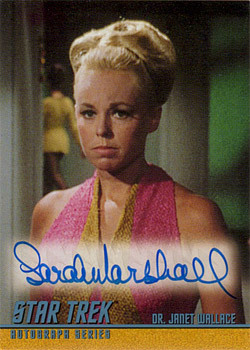 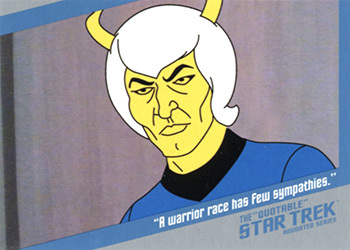 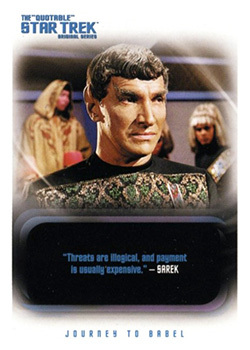 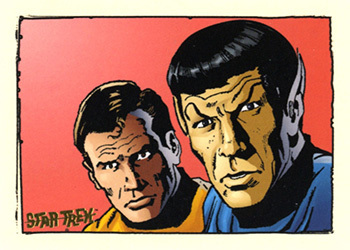 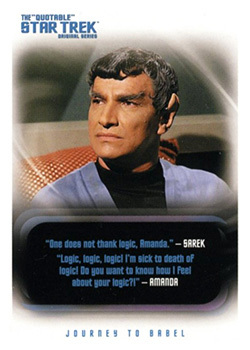 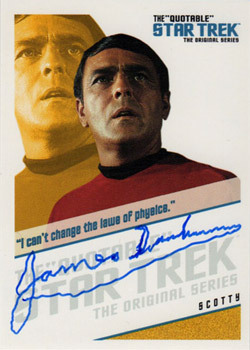 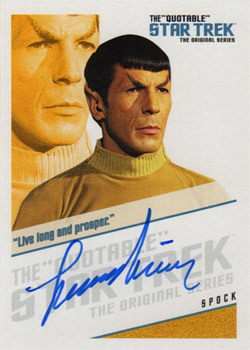 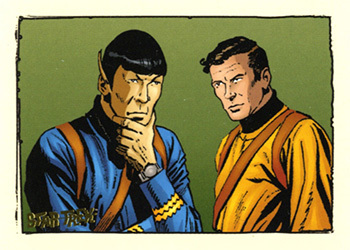 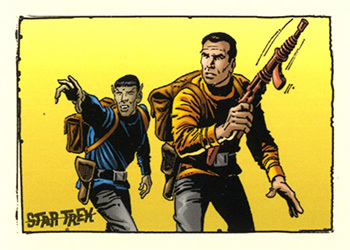 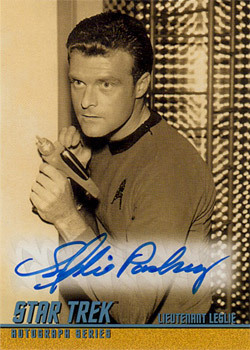 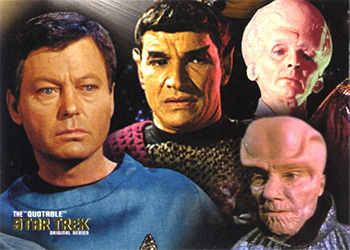 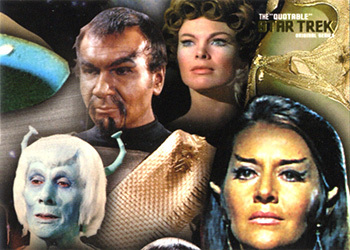 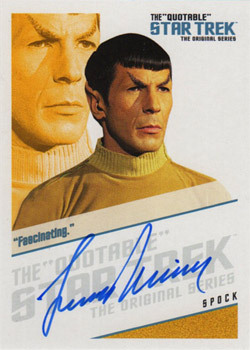 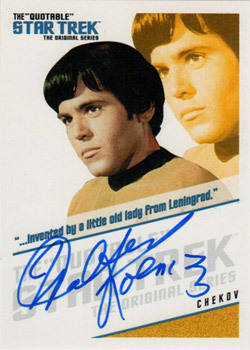 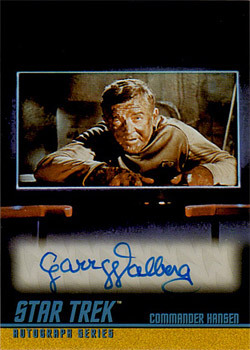 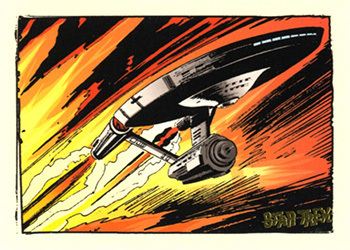 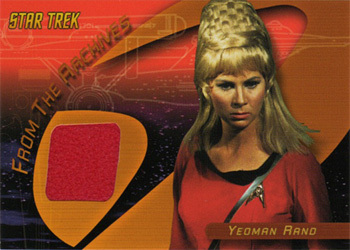 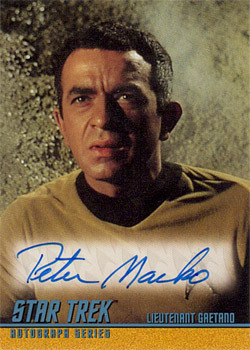 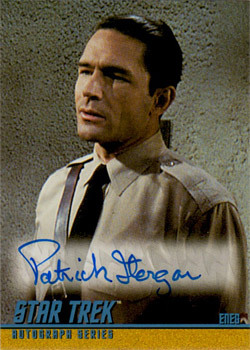 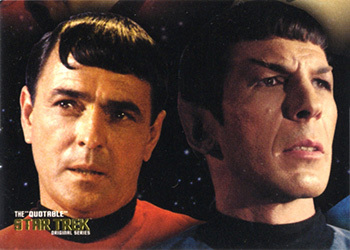 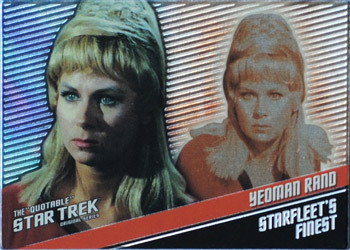 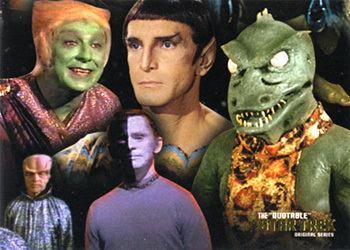 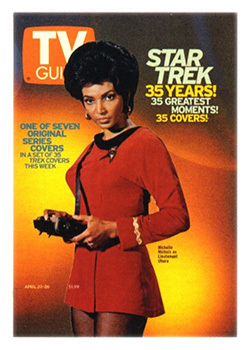 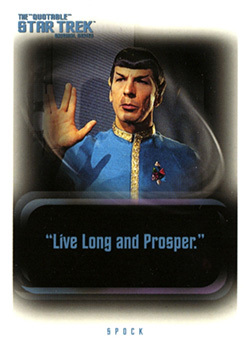 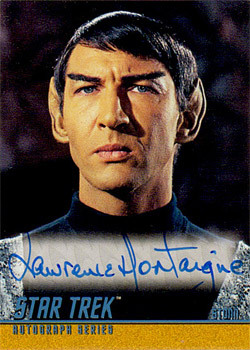 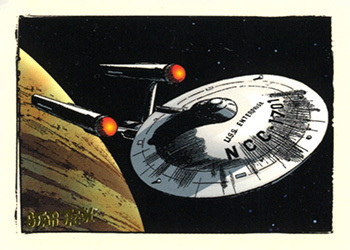 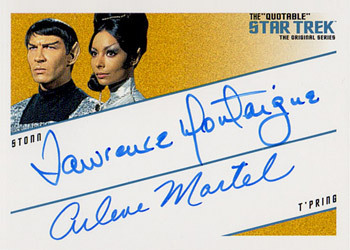 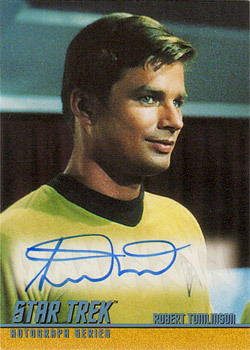 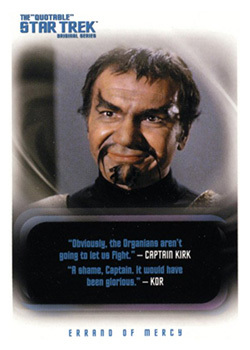 RA resurrected the classic TOS autograph card design that was introduced in the Skybox TOS season collections (1997-1999). 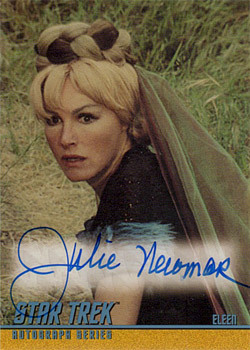 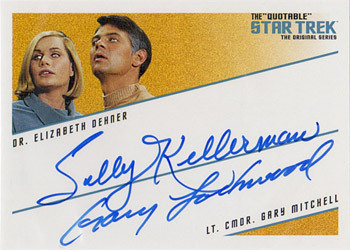 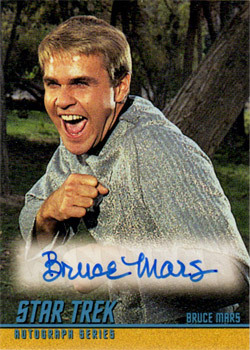 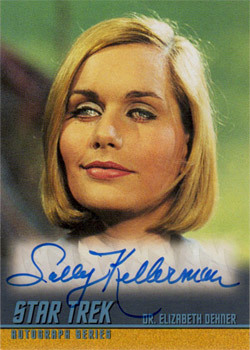 This classic autograph design, which picks up at A86, includes Bruce Mars (Finnegan), Julie Newmar (Eleen), Sally Kellerman (Dr. Dehner), Sean Kenney (Capt. 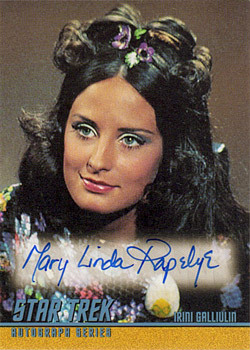 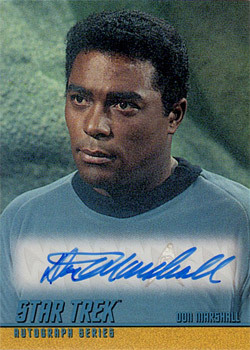 Pike), Don Marshall (Lt. Boma) and many others, which brings the classic autograph collection beyond 100 cards! 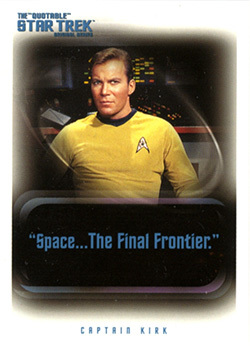 Bonus cards for this incredible series include: The "Quotable" Star Trek: The Animated Series Cards, The "Quotable" Star Trek: The Comic Book Cards, Collectable TV Guide Cover Cards, Starfleet's Finest, Limited Edition Cards, Captain Kirk/"Where No Man Has Gone Before" costume card (North American case topper), Yeoman Rand costume card (International case topper). 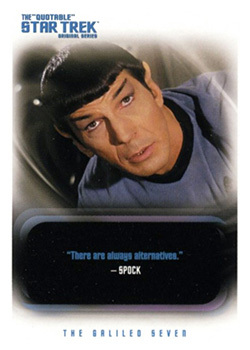 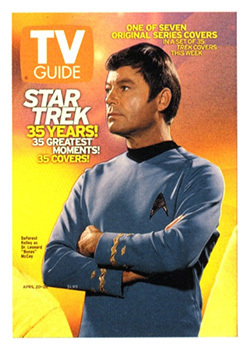 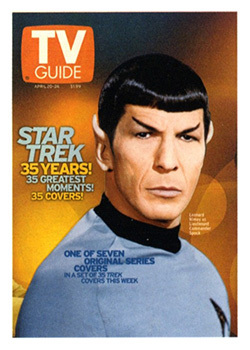 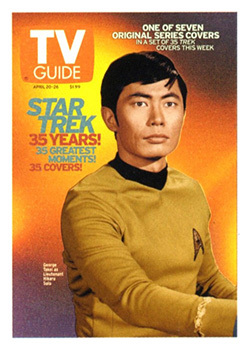 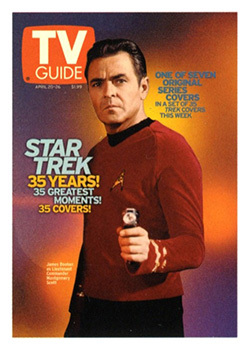 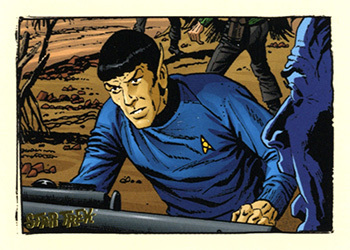 Rittenhouse Archives 24 March 2004 6,000 40 7 2½" x 3½"
"Spock! 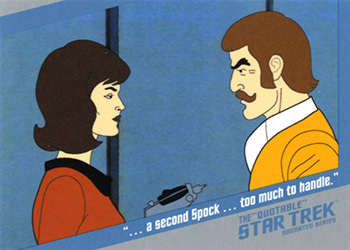 I've had enough of your mumbo jumbo theories!" 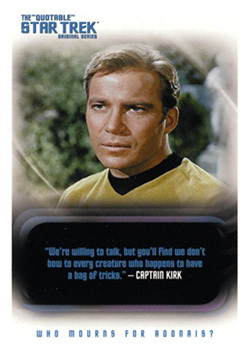 - Captain Kirk, to Spock, who has come under the control of an alien entity. 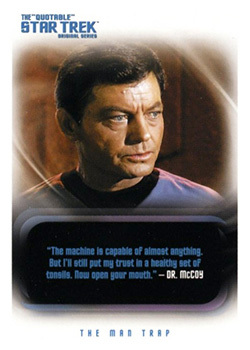 "…let's pour on the coals and take a first hand look-see!" 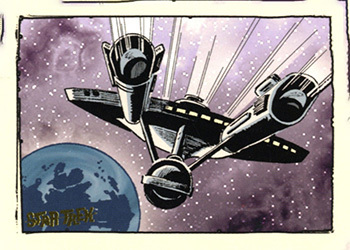 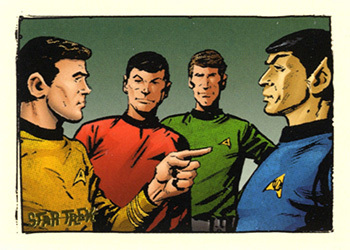 - Captain Kirk, ordering Sulu to increase speed as they investigate a space anomaly. 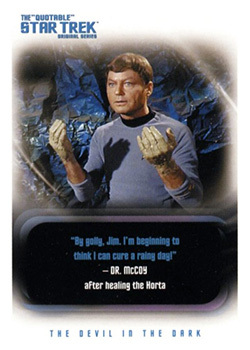 "Get control of yourself, Bones! 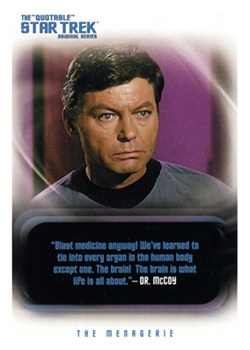 You're a top-flight space medic…not a teenage kid." 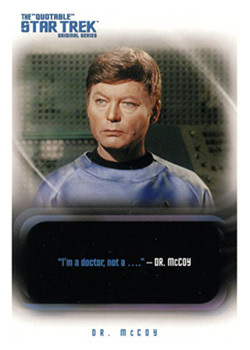 - Captain Kirk, to Dr. McCoy, who has come under the influence of an alien "age-ray" machine." 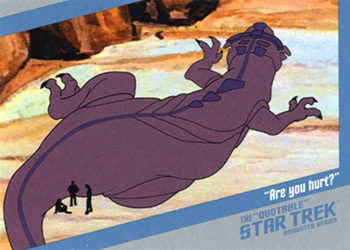 "Our heritage is our inspiration, Bones - to reach for things beyond what we can already touch - to dream a greater dream and mold it into reality!" 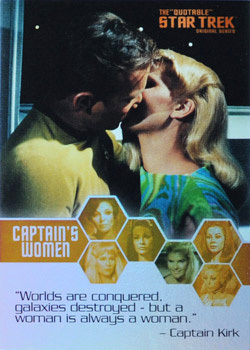 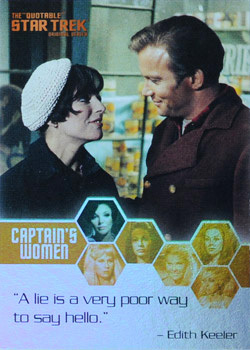 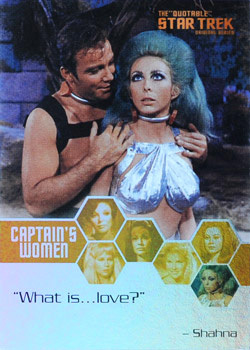 - Captain Kirk, after the destruction of planet Gamma Alpha V.
as Yeoman Rand in "The Enemy Within"
as Lenore Karidian in "The Conscience of the King"
as Shahna in "The Gamesters of Triskelion"
as Marlena Moreau in "Mirror, Mirror"
as Edith Keeler in "The City on the Edge of Forever"
as Andrea in "What Are Little Girls Made Of?"